The ecommerce development services are at an all-time high with sales growing exponentially year-by-year. As ecommerce popularity grew rapidly, so does the competition. The market share is highly fragmented and each online business is fighting off a thousand others for grabbing the valuable attention of customers. Cyber-security is becoming a daunting and very real problem. When numerous massive incidents of data and security breach occur each year, you must deal with security website carefully. Customers are naturally somewhat unwillingly to provide their personal details such as credit card/debit card information etc. for online payment. Make sure that your site is secure, patched for any potential risks and it should display confirmation of the secure transaction to the customer. Use security symbols/badges in high-traffic touch-points of your e-commerce application development and checkout areas to give your customers the confidence to shop. Customers feel more confident and trusting when you offer different options for payment. For instance, some prefer PayPal, while some use credit/debit card whereas some only use the cash-on-delivery service. Your current customers are one of your great resources to increase your business revenue. It is much easier to up sell clients who are already familiar with your work. Because they know the quality of your product and services and have already incorporated aspects of your services into their business. If you have built a good relationship with your clients, and they consider you a trusted partner, then they are likely willing to share current challenges they are facing. By listening, you can easily analyze how you might be able to help them address these challenges by offering new or alternative products. This approach allows you to continue to be a good partner while also increasing your revenue. It is most common and true that some users have fear of online shopping as they have a tendency of “what you see is not what you get.” For example, with clothing especially it is difficult to decide. Despite sizing charts and other tools, there is always the uncertainty of fit. Deciding the style, material, and fit based on photos involves a leap of faith. Thus, you require providing precise and helpful product descriptions and as many photographs as possible with a 360-degree view. Size guide, reviews, and fit surveys (where customers can rate the accuracy of sizing) increase the confidence of customers in shopping with your company. There are many helpful guides and tutorials available on how to write accurate product descriptions that sell. If you have a small number of followers on Facebook or Twitter, using social media to promote your product and services is an amazing method to increase customer awareness. Customer testimonials, as mentioned above are perfect for posting to social media feeds, and can spark interest in your offerings. Additionally, do not just view social media as a marketing tool, but as an open line of communication. Use it to disseminate interesting industry information, re-tweet or re-post articles of particular significance or further illustrate how your business works, perhaps with behind-the-scenes photos or videos. Social media is first and foremost social; use it as a personal touch point to your audience. Product descriptions are a good job of showing facts and figures. Skeptical buyers often turn to user reviews and product star ratings to judge the authenticity of your brand and its goods. But it is important to keep it authentic. Genuine reviews can seem counter-intuitive especially when some honest feedback is bound to be negative. However, customers are possible to trust your website and services when they see authentic reviews. This ensures the customers that you value customers opinions whether they are good, bad or ugly and that you are willing to put customers interest first. There are many other proven ways to increase customer confidence and in turn the rate of conversion. 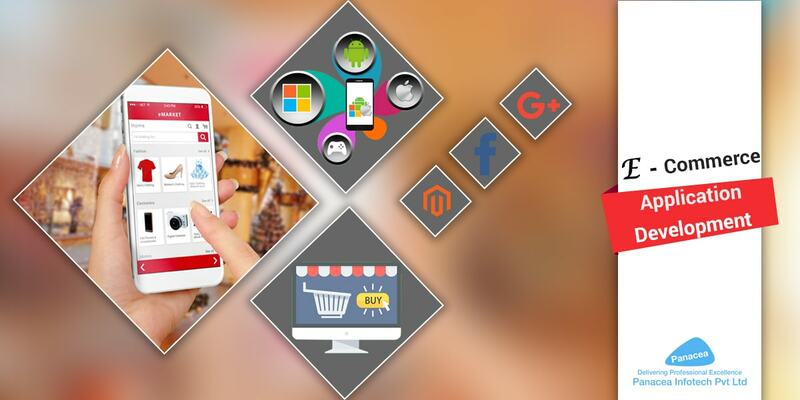 Panacea Infotech provides extensive e-commerce website development services that help you improve the rate of conversion and strengthen your brand.